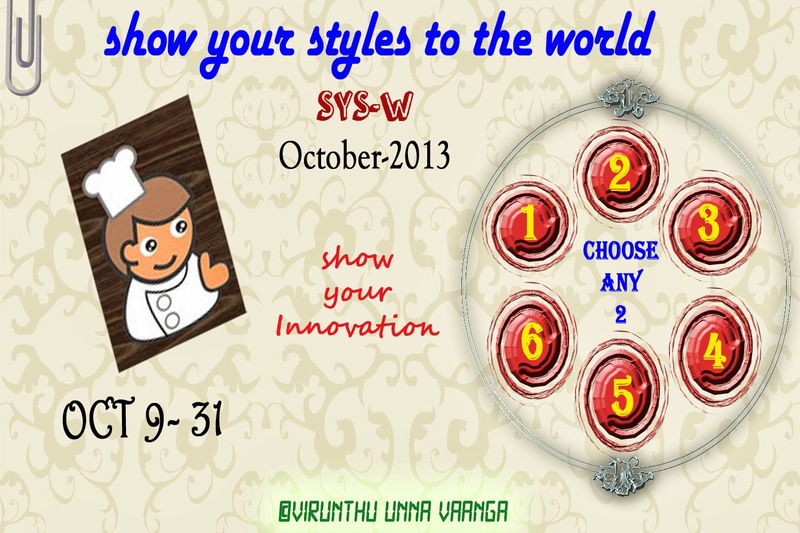 VIRUNTHU UNNA VAANGA: SHOW YOUR STYLES TO THE WORLD!!! New people to SYS-W may not be aware of the event, I will tell you shortly. We were given any 2 main ingredients for each month, and people who were participated will do some innovative recipes with it and post on their blog and linked on my space using linky tool. 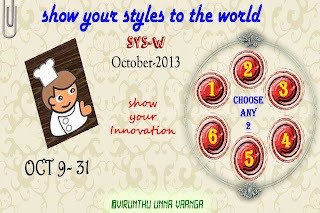 First change - will post the guess mystery on our SYS-W series FB group, there will be 6 hidden ingredients, and you can choose any 2 out of 6 and keep those selections in your memory and comment your choices on the FB comment box, and the next day I will reveal the all 6 hidden ingredients. 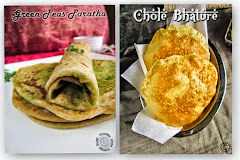 Then you can make innovative recipes with your chosen ingredients… Is this interesting or not??? I thought it will be quite fun to choose??? You can see the 1-6 numbers as shown the above picture. 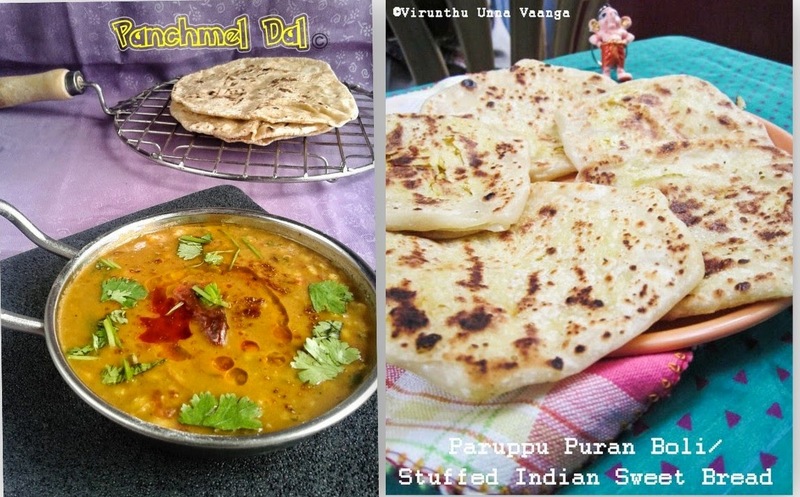 You can try out one or two (Optional) recipes with your way of innovations or variations, without omitting the given ingredients that I have mentioned and it should be dominated in the recipe. If you want to join in the event, just give your FB Name on my comment section, I will add you in SYS-W FB Group. Very interesting challenge. Waiting for the hidden ingredients. Very interesting challenge. Count me in this. Pls let me know the other details regarding when to join, how to join and all those. Akka, It is so interesting...Can I join in this event?